The package deal is available on the Ninoy's Day long weekend of 21st - 23rd August, and then again on the National Heroes Day long weekend of 29th to 31st August. Book early. 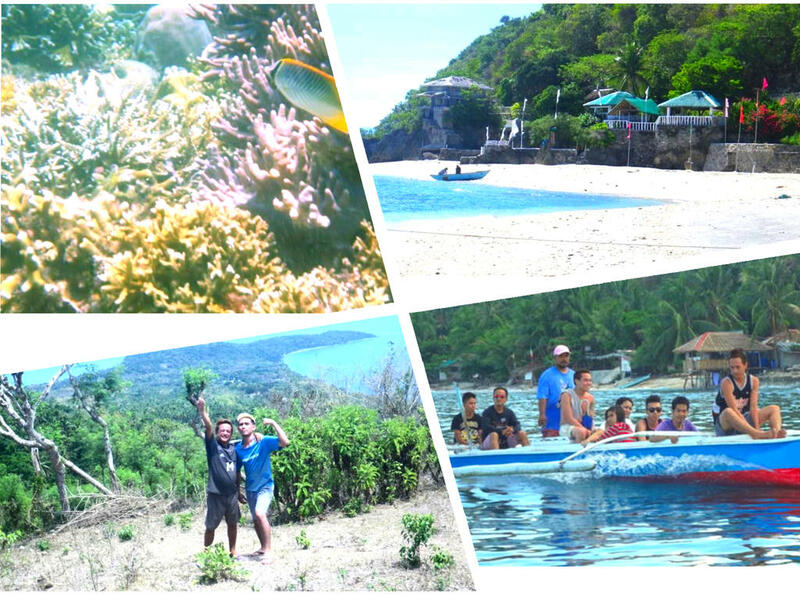 PHP2500 includes boat transport, listed activities, two nights accommodation and breakfasts for 2 people. Other activities, meals and drinks are NOT included. 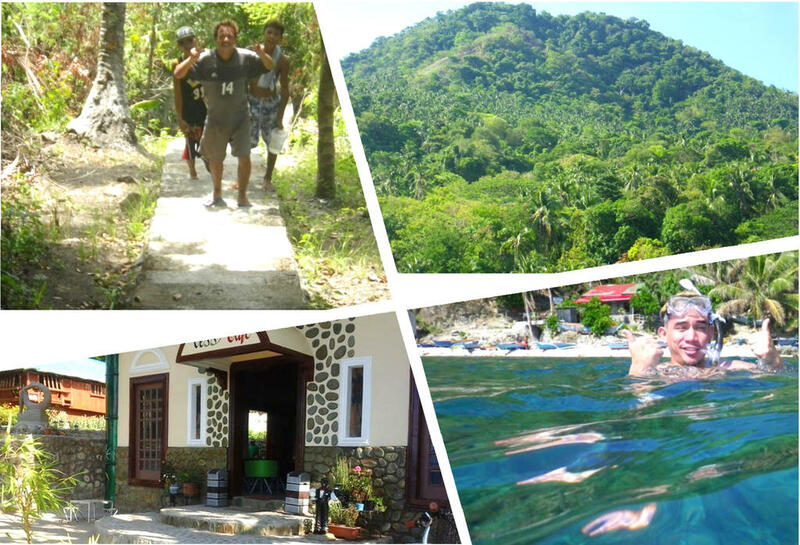 Cost of activities, meals and drinks at Puerto Galera are NOT included. Each of these packages are only available to the first 10 people (for each holiday) who have booked and confirmed their reservation with a bank deposit by Friday 14th August 2015 (for Ninoy's Day Holiday) and by Monday 17th August (for National Heroes Day Holiday). 0900 Be at Tabangao ready to be picked up by the boat from Isla. 1030 Approximate time of arrival at Isla Verde Tropical Friendly Resort. Arrival time depends on the weather and sea conditions but you will arrive at the resort by noon. Time to have lunch then settle in to your accommodation. Spend the afternoon relaxing around the resort area, swimming and snorkeling or taking a leisurely stroll around this end of the island. Just a short swim from our resort sea wall is the start of one of the most popular reef dives in the world. 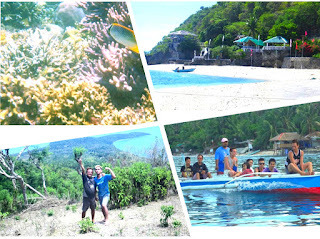 Even snorkeling you can see many beautiful corals and fish. 1800 At 6pm you will take the boat from Isla Verde to Puerto Galera for an evening of night life, restaurants, entertainment and shopping. Puerto Galera is well known for its Whiskey Chocolate Liquer available in a pitcher! It is a favourite drink for visitors to the area. 2100 Be back at the dock by 9pm, when your boat leaves Puerto Galera for the return trip to Isla Verde Tropical Friendly Resort. 0700 Breakfast at Tess' Cafe, then pack yourself a picnic lunch to take on today's walk. Don't forget to pack your camera!! 0830 Depart for a trek to the summit of Mt Dagit Dagit. Local Verde Islanders say that Mount Dagit Dagit is the highest point on Isla, although official records claim its sister peak Mt Liponpon might be taller. We will climb Mt Dagit Dagit because it is an easier trek and the views are amazing, then we will cross to part of Liponpon. From the resort it takes about three hours to get to the summit. On the walk you will have many photo opportunities as the scenery is great. Sometimes local fruits are in season and you might be able to enjoy a dalandan (Filipino Orange) or two along the way. On Isla this fruit is called sintoris. 1200 After a pleasant walk, stop you will stop at the peak for lunch and enjoy the wonderful view. From Mt Dagit you can see across the Verde Island Passage to Batangas, and looking the other way, across to Mindoro, the large island you visited last night. During Holy Week local priests go to Mt Dagit Dagit for prayer. 1400 Around 2pm You will leave Mt Dagit Dagit for trip down the mountain over to Mt Liponpon, passing the cliffs along the way. At Mount Liponpon you may see beautiful wild flowers growing and you will have more views of Isla and across to other nearby provinces such as Calapan and the area south of Batangas. 1500 By 3pm it is time to leave Mt Liponpon to go to Cueva for a swim and rest. Cueva is well known for a cave that goes through from one side of the island to the other! There is also a lighthouse and you can take some very nice photos from there. 1600 About 4pm You will depart Cueva for the 1 hour easy walk back to the resort. The remainder of the day is your own to relax. Maybe you will compare your experiences of the day over a few drinks. After Dinner Activities might include a bonfire? drinks? stargazing through the resort's telescope? 0600 Breakfast at Tess' cafe, before taking a boat tour to enjoy the island. 0700 Leave the resort for a boat tour of Isla Verde. First stop is Sawang to swim and snorkel. Sawang is a popular stop off for scuba divers on the way to the reef dive near our resort. It is popular for its clean white sand and clear water. 0900 Leave Sawang and head to Mahabang Buhangin where you can meet the locals, relax, swim and snorkel or even just sit and play cards. The local people will usually have fresh caught seafood for sale so you might like to enjoy some freshly grilled fish or octopus while you enjoy the scenery. 1000 Depart Mahabang Buhangin for Tubahin to see the rock formations. 1030 Leave Tubahan to return to the resort. 1100 Back at the resort there is time for a shower and a rest. 1300 1pm Your boat leaves Isla Verde to return you to Tabangao. 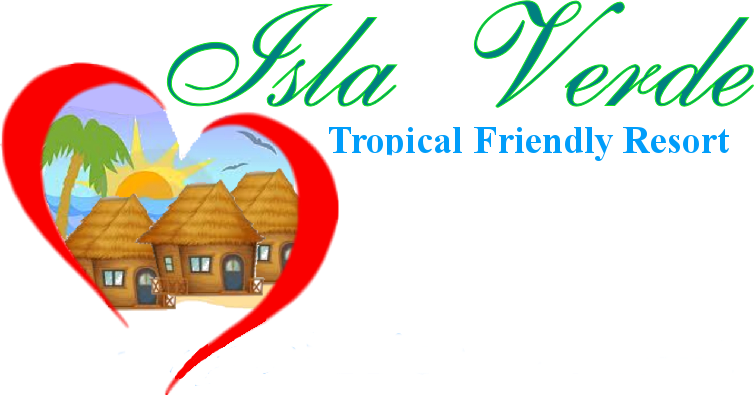 Isla Verde Tropical Friendly Resort and the people of Isla Verde hope you enjoy your time visiting our island home.